For those of you who don’t know, the woman pictured to the right is Wendy– a true Wesleyan treasure! She used to work at Summerfields but nowadays you can find her swiping cards at Usdan. What makes her deserving of her own Wesleying post is how she regularly goes beyond her job description to brighten students’ days. Wendy recently resumed contributing to happy birthdays after taking a break late last semester. She also told me (back in February) that she was paying for all of the candy out of her own pocket but that she was maybe going to be reimbursed. 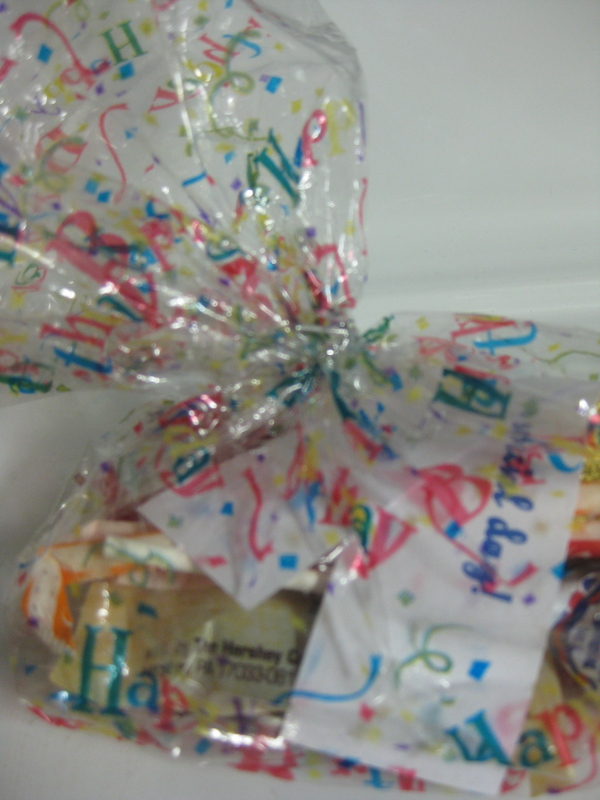 Either way, Wendy’s birthday goody bags are a great example of why she is such a beloved member of the Wesleyan family. Even without the candy treats, Wendy always makes me smile with her sincerity and friendliness. 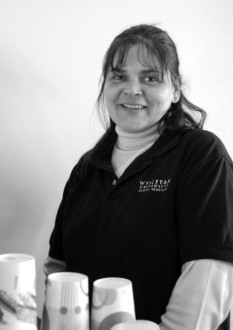 Hopefully, this post can bring Wendy some recognition for being such a great part of many people’s Wesleyan experience. If you appreciate her warmth and generosity, show her some love next time you see her! Posted by Wesleying in Campus Life, Food, General, Random and tagged Wendy Norton on March 21, 2010 at 5:30 PM. Wendy is great. I’m glad we have fantastic people like Wendy working at Wesleyan.